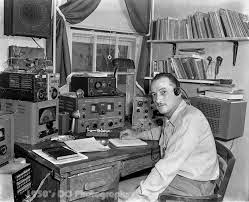 - 9pm Black River Valley Service Net on the Boonville Amateur Radio Club Repeater, 146.655 MHz . - 7pm - Fort Herkimer - ARES/RACES/traffic/training net. on the 145.110, alternate checkins can be made on the 147.090 repeater. - 7pm - Drumlins Amateur Radio Club, Wayne county, DARC Net on 146.745 (pl 71.9). 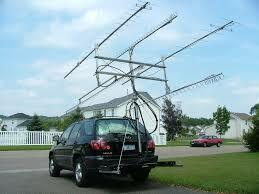 - 8pm Skyline Amateur Radio Club Net (Cortland) The net is held on the 147.180 repeater, pl 71.9. - 8pm (fourth Tuesday each month) Fusion Net on the 145.29 W2XRX repeater (Canadice, NY), XRX Amateur Radio Club is the sponsor. The mode will be digital narrow DN. It will be on Wires-X room #21704. The 147.39 Wn8Z repeater in Fulton will also carry this NET.The purpose will be to discuss Fusion news, equipment, Wires-X, tips, etc. Check-ins are encouraged from all CNY/WNY Fusion stations. - 8pm - ROC City HF net on 3.826 Mhz at 8pm - great group and interesting topics! - 7:00pm Third Thursday of each month - Utica ARA 6M net on 50.50 simplex, mode? - 7:30pm - ROC City 2M net on the 145.110 repeater in Rochester - 7:30pm - great group! - 8:35 pm, Wayne Amateur Radio Emergency Communication (WAREC) RACES/ARES Net at 8:35 pm on 146.685 (pl 71.9). is the cny traffic net on echolink ? ?